Why do I give to the American Bicycling Education Association? Why does anyone give to ABEA? Because ABEA’s programs give back so much to the people touched by them. Consider Orlando Huguet Jr., Safety & Training Coordinator for the Risk Management Division of Fort Lauderdale’s Human Resources Department. 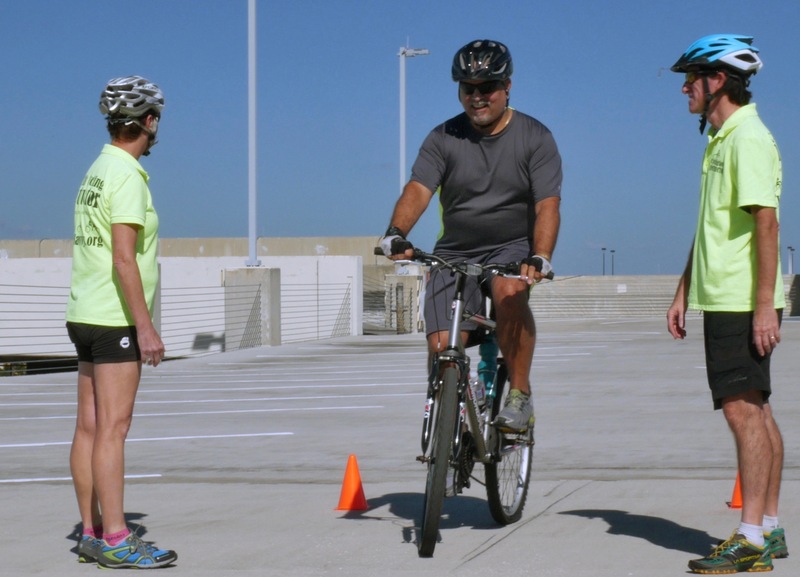 Earlier this month he was a participant in ABEA’s flagship program, CyclingSavvy. Orlando Huguet Jr. practicing emergency stopping with CyclingSavvy instructors Lisa Walker and Mighk Wilson. I just wanted to take a moment to thank you and the rest of the CyclingSavvy team for facilitating such a very informative and interactive course. Until I had attended your course, I thought I knew everything I needed to know on how to safely ride my bicycle. Your course is really amazing in that it changes old ways of bicycle riding thinking and opens a rider’s eyes to new and safer ways on how you should be cycling, as well as expanding your travels to other areas around town. I never thought I would be riding my bike down the middle of a three and four lane road way or making left turns at major intersections. But your course gives the rider a sense of renewed confidence and opens the bike owner to having more hours of safe riding enjoyment that they perhaps never thought possible. I look forward to joining the CyclingSavvy Team and I am excited to help promote more potential bikers to take to the road with more confidence and in absolute safety. And so one student from one CyclingSavvy class will lead a ripple effect of giving to others, as Orlando goes on to become a CSI so he can further share his newfound knowledge. What other investment pays such handsome dividends? Now that Thanksgiving is behind us and the holiday season is rushing along at full speed, on this Giving Tuesday I hope you’ll pause a moment and consider making a gift to the American Bicycling Education Association. We rely on your donations to operate. Many people think ABEA must be a large organization with deep pockets to produce such high-quality programs and train outstanding CyclingSavvy Instructors. But actually ABEA is still quite small. Last year’s budget was in the five digits. 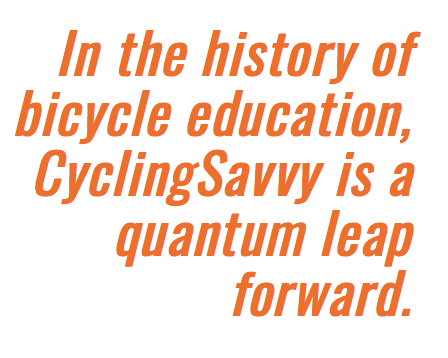 We stretched–well, we begged a little, too–to cover the upfront costs of developing CyclingSavvy Online. This year we stretched again to hire Shannon Walsh, ABEA’s new associate executive director, to help with marketing and the development of ABEA’s programs. 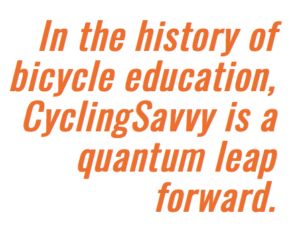 In the history of bicycle education, CyclingSavvy is a quantum leap forward. 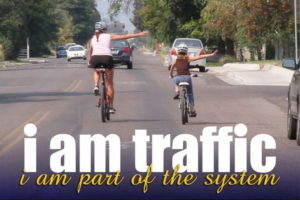 We want everyone to know how easy it can be to choose bicycling! This holiday season we are thrilled to have received not one but TWO matching gifts for donations up to $1,000. The donors behind these gifts especially hope you will donate to ABEA. For now, if you join or donate to ABEA, up to $1,000 of your gift will be matched TWICE, meaning your gift is tripled. 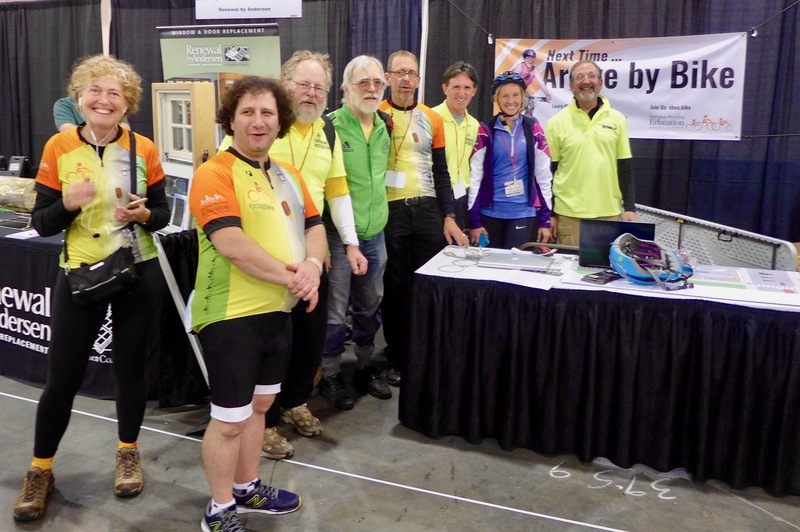 Your donation will enable ABEA to expand CyclingSavvy to new places across the U.S. and reach more people with this life-changing and life-saving program. 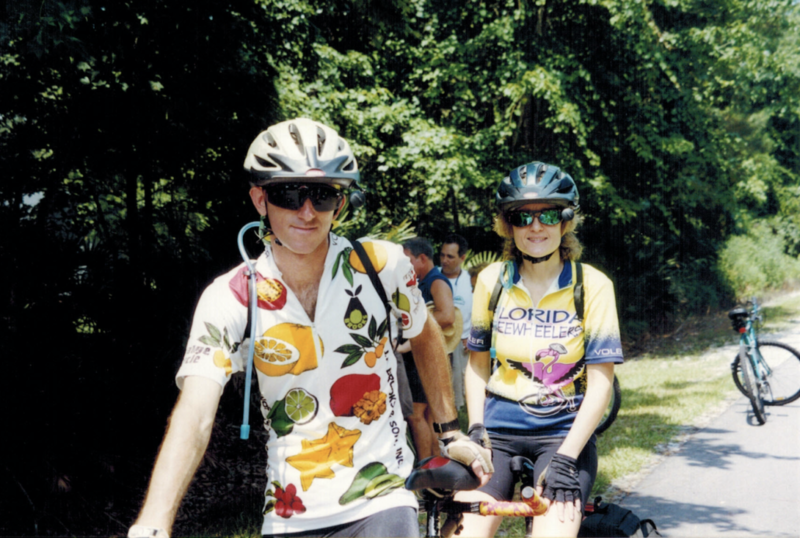 In the few years of CyclingSavvy’s existence, we’ve received numerous testimonials as glowing as Orlando’s. We are thrilled by each and every one. Right now we need your support to keep ABEA and CyclingSavvy going and growing. Our fundraising goal between today and year end is $10,000. If we reach our goal all with donations of $1,000 and below, that will mean $30,000 for ABEA! If you’re not already a member, please join today! If you are a member, we deeply appreciate your generosity in providing a year-end gift. ABEA is a 501(c)(3) educational organization. Donations are tax deductible to the extent allowed by law. A heartfelt thank-you to ALL our donors who made it possible for Orlando to experience CyclingSavvy. It’s deeply gratifying to know that he will continue to pass along safest and best practices for bicycling. See what you started? Please make your gift today, on Giving Tuesday, or as soon as you can. Keep spreading the joy of savvy cycling. Remember your gift up to $1,000 will be tripled while we have double matching gift offers. 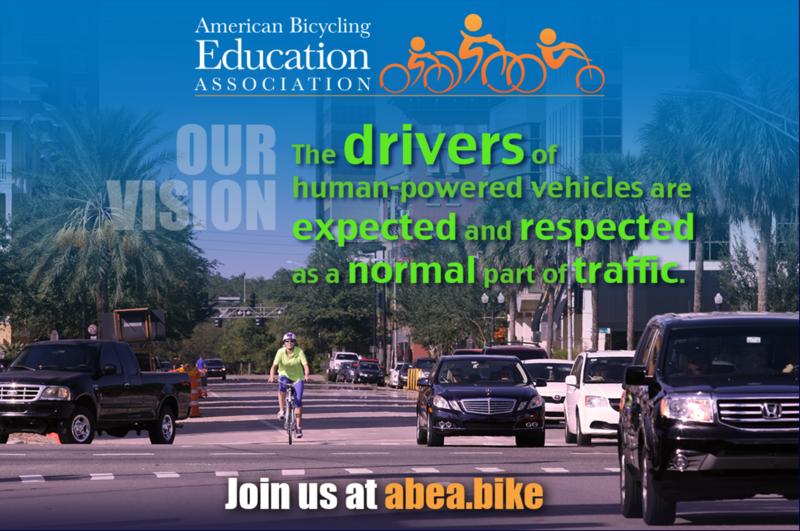 Help us reach our goal of $10,000 which, with matching gifts, means $30,000 for ABEA to provide groundbreaking bicycling education to more people like Orlando! 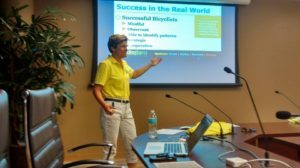 Did you know the American Bicycling Education Association has a team? Not a cycling team, a Cycling Education team! 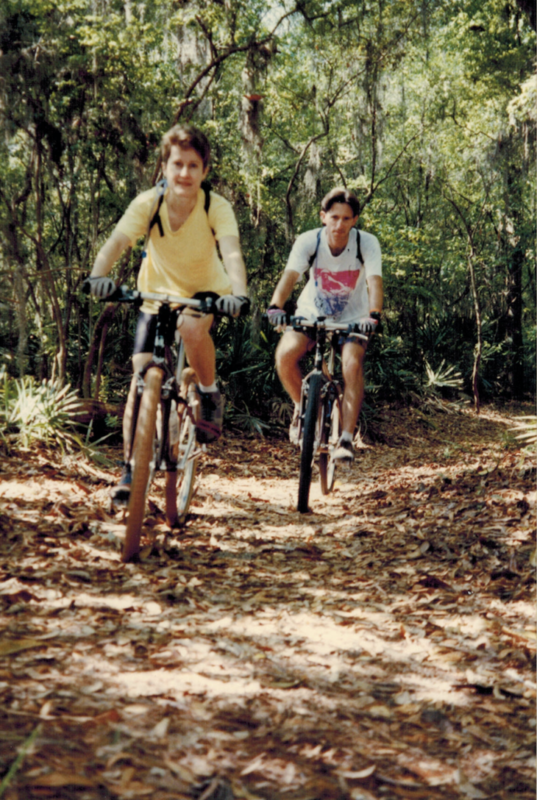 While we ride our bikes (a lot), you’ll find team members engaged in many other activities. 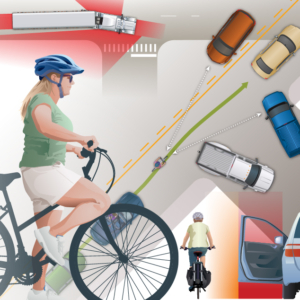 We write posts for The Savvy Cyclist. Want to contribute? Let Karen Karabell know. She’s the editor, and will send you a link to editorial guidelines. We maintain ABEA’s websites. It’s a big job building a new national organization! We have several websites serving different purposes. You may already know that ABEA is the non-profit parent of CyclingSavvy and CyclingSavvy Online. Have you explored I Am Traffic? This ABEA site is an incredible resource for planners, engineers, law enforcement and the general public. 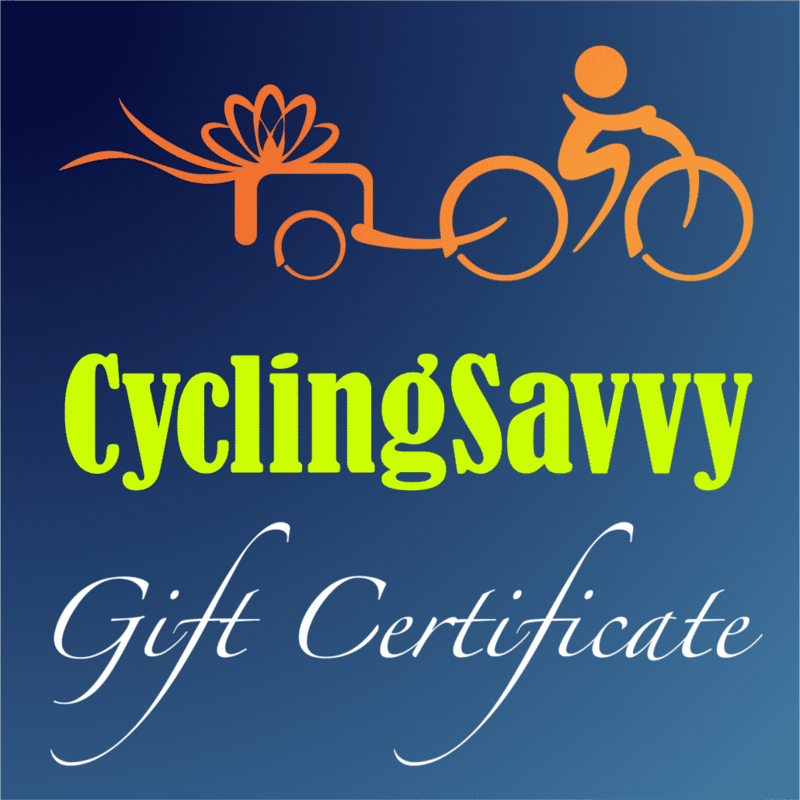 Team ABEA also maintains CyclingSavvy.Bike, offering the best instructor resources available anywhere. 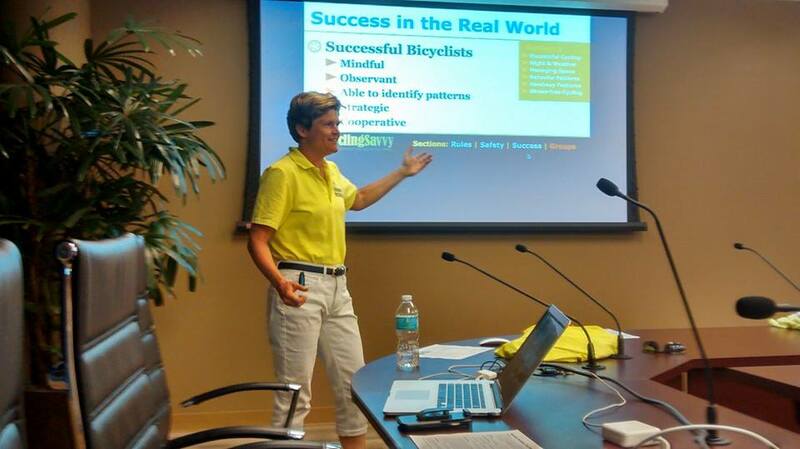 Teaching CyclingSavvy all over the U.S.
Plus activities such as visiting ABEA folks in other cities for the sheer fun of bicycling around in a new town and meeting new people! Besides donating time and talents, many members of Team ABEA make financial contributions — some small, some large, all important to ABEA’s success. Bruce Dowell, Redlands Water Bottle Transit Co.
Should your name be on this list? If so, please accept my sincere apologies! So many people have contributed that I’m certain I’ve unintentionally left someone out. Please let me know. We’ll update our records. Each person is a treasure. However you choose to help, you help ABEA become that much stronger! Many of the folks above are CyclingSavvy instructors, though certainly not all. I’m not a CyclingSavvy instructor. But savvy cycling strategies changed my life. I started giving to ABEA because I wanted to give other people the same advantages I now have thanks to CyclingSavvy. What I gained was far greater. Besides increasing my own knowledge, I made many new friends and opened doors to experiences that have greatly enriched my life. I am forever grateful. ABEA has a place for and a need for many types of people. Join the team working for educated and empowered bicyclists. We invite you to go to abea.bike and become a member today. ABEA is a 501(c)3 nonprofit organization. Financial donations are fully tax-deductible to the extent allowed by law. We hope to see you on our team, in any way you’re able to participate. Give to ABEA and discover how much ABEA can give back to you. Contact us if you are interested in volunteer opportunities or becoming a CyclingSavvy instructor. And be sure to join ABEA today! It had been a long hot ride. Reaching the parking lot where we started, I heaved a sigh of relief. I made it! 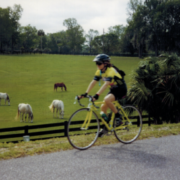 Sweat dripped into my eyes and rolled off my nose as I gratefully slid off the saddle. I began walking toward my car, leaning on my bike for support, when a friendly and somewhat concerned face appeared in front of me. The young man standing before me looked like he had just finished a short stint around the block. Surely he was not on the same ride I had just completed! I was finding this fellow to be quite unlike anyone I had ever met. Normally he biked to club ride starts, but this ride was further out of town so he had driven. “Yes, that would be nice,” I replied. I walked with him to his black Toyota pickup truck. The tabbouleh was cold and delicious, and the nourishment began to revive me. To be honest, I pushed myself hard on this ride because I wanted to impress him. 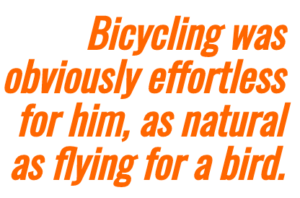 Bicycling was obviously effortless for him, as natural as flying for a bird. As I munched on tabbouleh, I wondered if I’d ever achieve his level of mastery and fitness. Part of me was surprised to be so interested in this guy. After breaking up with a long-time boyfriend, I’d decided I’d had enough of men. I turned to exercise to work out my frustrations. I wanted to try the rides offered by our local bike club. I had a beater bike from my college years, but didn’t want to bring it to these rides. I decided to treat myself to my first good quality bike. 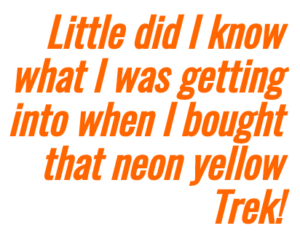 So I headed to a local bike shop, where they fixed me up with a neon yellow Trek road bike. I started showing up for the club’s Wednesday night social rides. They were rather informal affairs. I’m not sure they even had an official ride leader. Everyone always looked expectantly to this guy to lead the ride. He accepted his role nonchalantly, as if it were the most natural thing in the world. Before each ride he’d go around the parking lot to help people pump up flat tires, adjust seats, generally check for loose things and make sure everyone had a bike that was ready to ride. He never drove to these social rides. He always arrived by bike. After the ride, he made sure everyone returned safely and had their bikes properly loaded onto their cars. Then he left as he came, by bike. Always by himself. I wondered where he came from and where he went. I was quite sure he was younger than me, way younger. That, along with my determination to avoid men, held me back. At the time he had long flowing black hair, the kind you see on heartthrobs adorning the covers of paperback romance books. He was thin, like he hadn’t quite grown into his frame. He was part of the bicycling group and yet he wasn’t. He stood apart, independent, never associating with anyone too closely. I found myself more and more intrigued. And so I was surprised when the group stopped one day at a restaurant and he pulled a chair up to the table where I was seated. The rest, as they say, is history. I never did achieve Mighk’s level of bicycling proficiency. 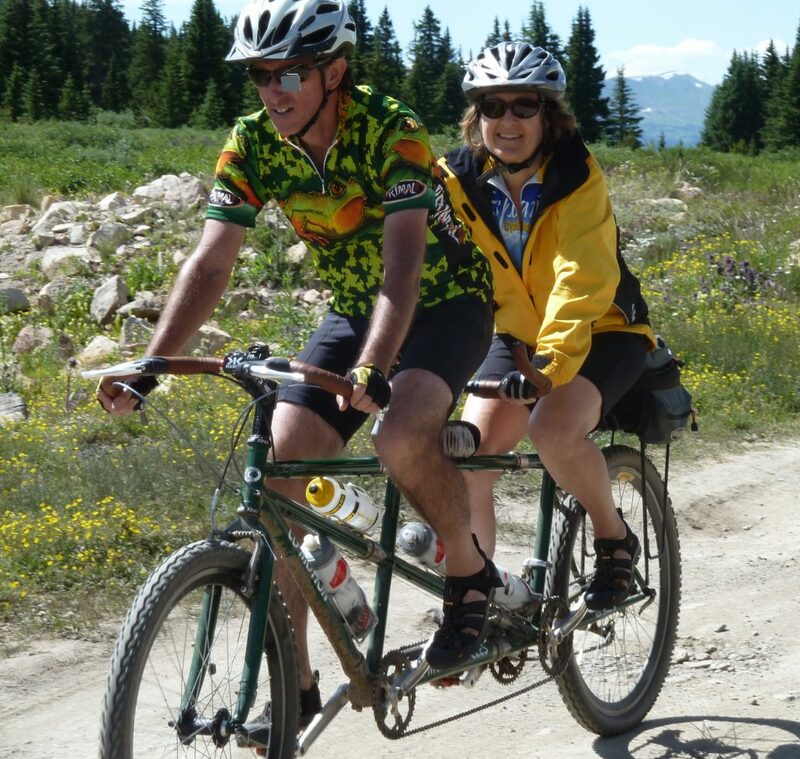 But fortunately we enjoy biking together on a tandem. A sure way to not get dropped! 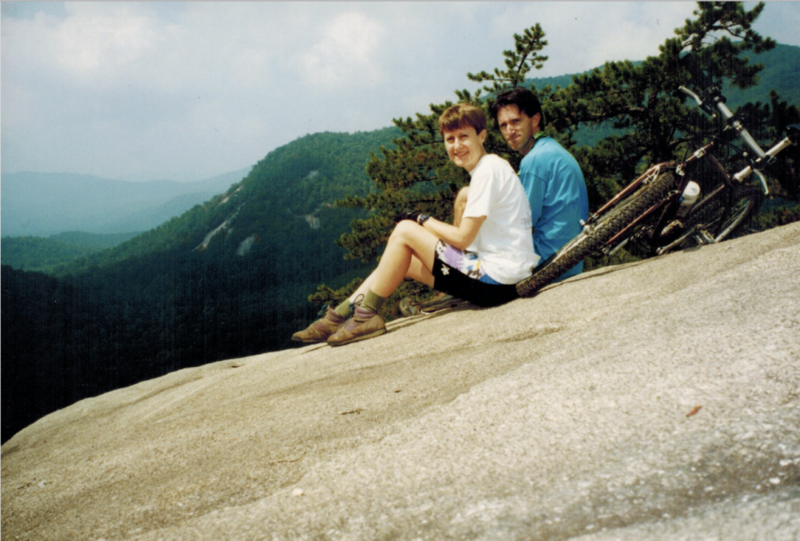 Over the years we’ve participated in many kinds of bicycling – off-road, tandem, road riding, touring, bicycling for transportation – and we’ve acquired many wonderful bicycling friends along the way. 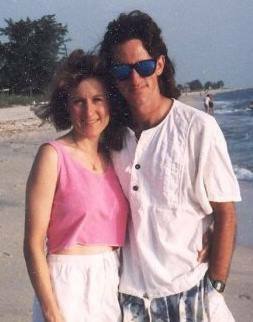 Next year will be our 25th wedding anniversary. I’ve watched Mighk grow into a nationally recognized transportation planning and bicycling professional. I’m especially proud of the work he’s doing as executive director for the American Bicycling Education Association. Like so many others, I feel confident that following Mighk is the right thing to do. I’m just grateful he picked me to be his lifetime riding companion. Little did I know what I was getting into when I bought that yellow Trek!